This item consists of 2 Star Packs. 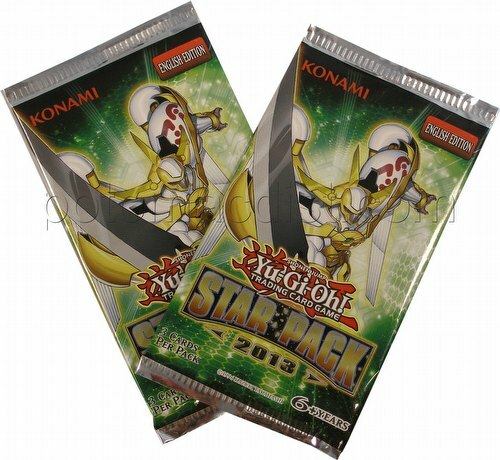 Each Star Pack contains 3 randomly distributed cards with 1 guaranteed Starfoil card. The cards are taken from a set of 50 which are all available as commons and Starfoils. This means there are a lot of cards never seen before as Starfoils in the set. The set contains some of the greatest cards from the first season of the Yu-Gi-Oh! Zexal tv show - Goblindbergh, Galaxy-Eyes Photon Dragon, and Number 34: Terror-Byte.